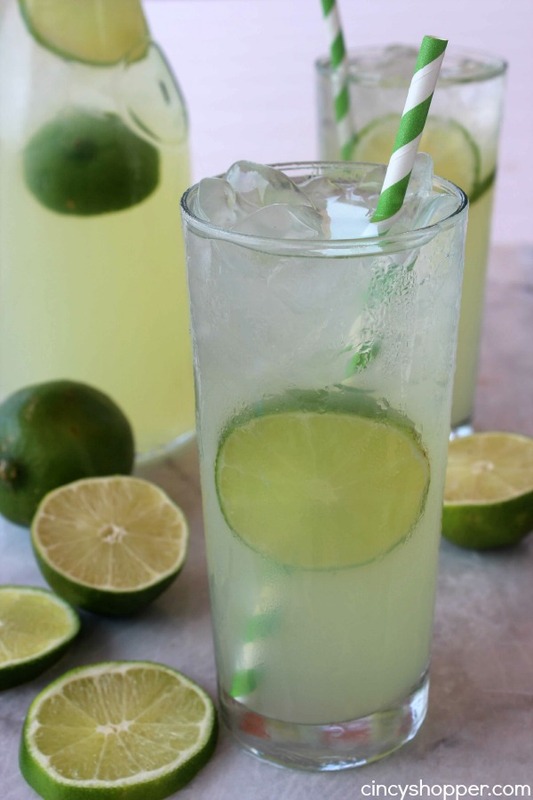 This Homemade Limeade is sure to keep you cool and refreshed this summer. 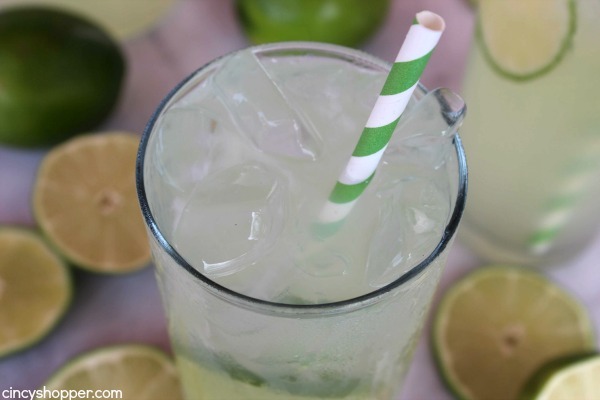 The perfect cold, sweet and tangy beverage to enjoy on a hot day. Our family is really big on making homemade cold drinks during the hot summer months. Making slushies (like our Homemade Raspberry Lemonade Slushies), super cold iced tea (like our CopyCat Starbucks Passion Tea Lemonade), and traditional Pink Lemonade is like a daily occurrence at our house. We like to spend time on our patio when the sun is shining and have drinks that are refreshing are always a must. The kiddos will quite often just request Gatorade but my daughter and I are big on making homemade drinks. 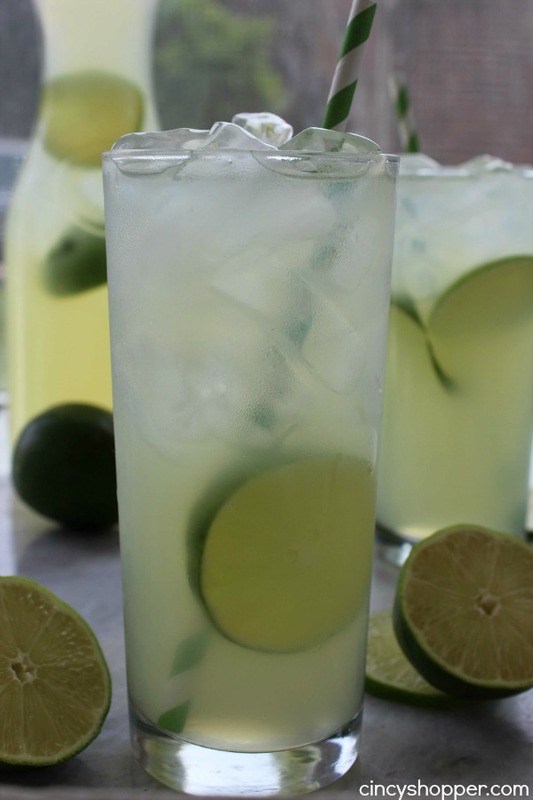 This past weekend, we made a pitcher of Homemade Limeade to take with us to the patio. This first pitcher didn’t last very long because the entire family really liked this recipe. 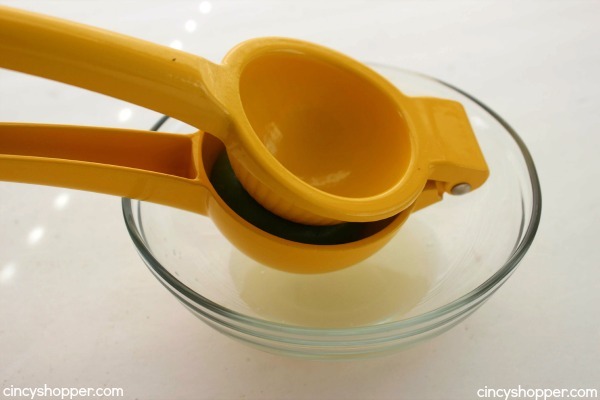 It was super simple so making a couple batches was not a problem. All of the boys including the hubby were back for seconds. 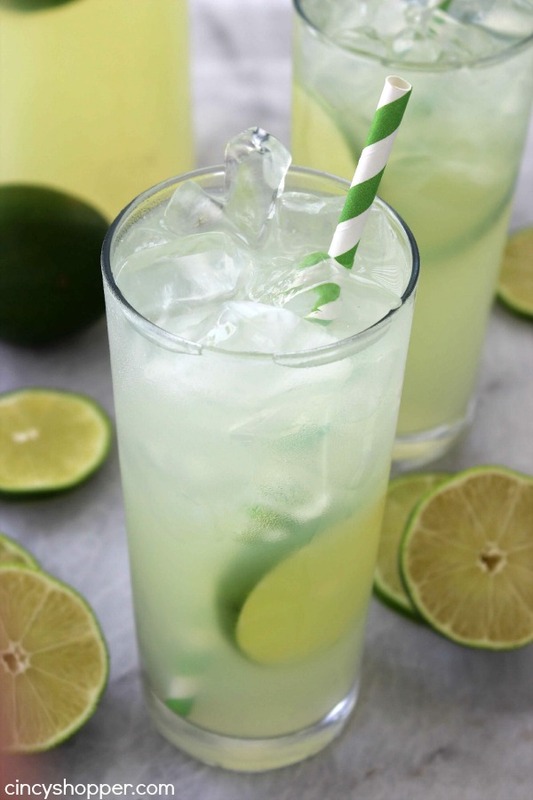 All that is needed for this refreshing summer time beverage is some sugar and limes. I usually take a daily trip to Kroger to be on the hunt for marked down produce. 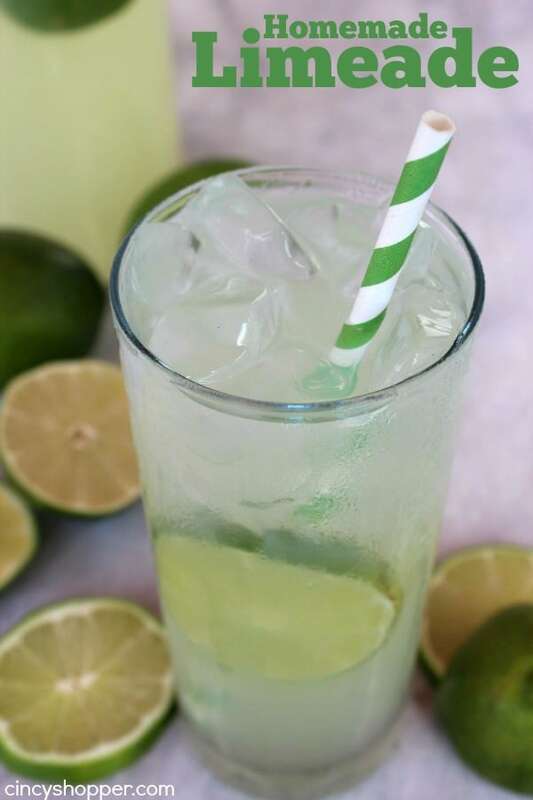 I have been finding quite a few $0.99 bags of lemons and limes so the cost for this drink was less than a 12 pack of soda. 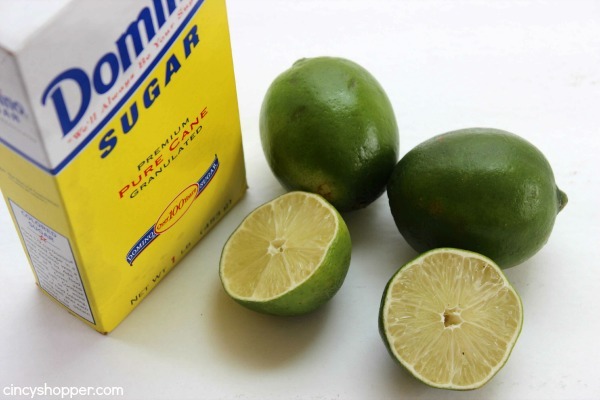 Plus limeade is so refreshing, it beats soda with taste and refreshment. 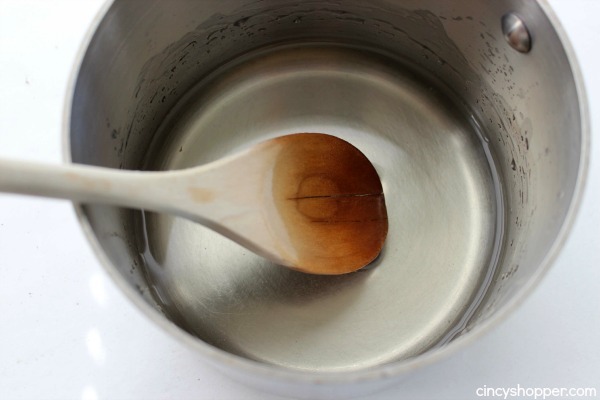 Combine sugar with 1 cup of water and heat over high heat just until it boils and sugar is dissolved. Add sugar syrup, juice and 4 cups of water to pitcher. Serve over ice and garnished with lime slice. 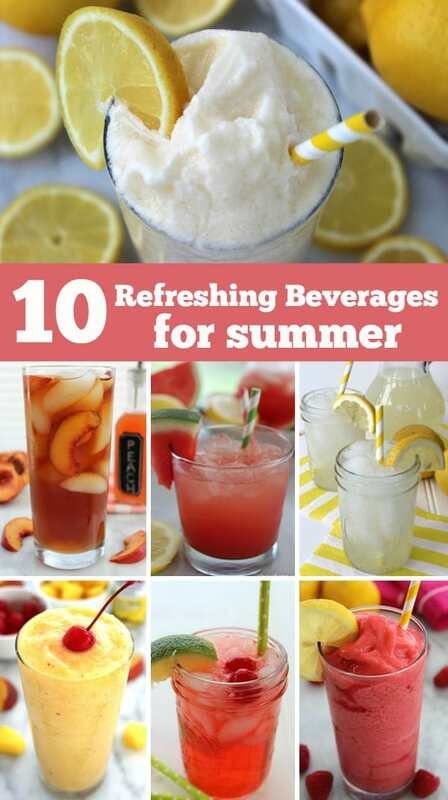 What drinks do you enjoy when relaxing in the sunshine during the hot summer months?